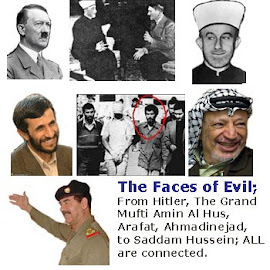 The faces of Evil; the history and relationship from Hitler and the Grand Mufti of Jerusalem (Amin al-Husseini) through the modern Islamo- Fascism. As many already know that history has a sad habit of repeating itself, yet many in the world, especially here in the USA seem to forget or conveniently ignore this. The main stream media (such as extreme liberal hacks like George Stephanopoulos) have this problem as do many politicians, especially those who consider power more important than truth. The facts are Amin al-Husseini, the grand mufti of Jerusalem; was a zealous and violent person, who sought refuge in Baghdad after being exiled in 1937. As a former Ottoman Empire artillery officer turned teacher, al-Husseini was sentenced to ten years in prison by the British for his part in anti-Jewish riots in 1920 in Jerusalem. In a gesture of misplaced leniency, he was pardoned and stood for grand mufti in the following year. The British calculated that there was nothing to lose in allowing al-Husseini to play the role since he had no adherents in the Arab community. This proved to be a mistake. As grand mufti, he was poised to exploit Arab-Jewish tension that began with the exodus of Jews to Palestine in the 1930s. His anti-Semitic rhetoric found an audience in a growing middle class. As president of the Supreme Muslim Council, he controlled religious schools and courts as well as trust funds that spread his message of hate in Iraq and Syria. He also launched attacks on Jewish settlements and assassinated moderate Arabs who urged compromise but were marginalized by terrorism and Islamic fundamentalism. Moreover, the mufti benefited from a decline in British fortunes. After 1938, Germany, Italy, and even Spain fueled Arab nationalism with radio broadcasts, cultural subsidies, and anti-Semitic literature that was translated and distributed through schools by al-Husseini. Palestinians imitated fascist organizations and praised Nazi racial laws, dreaming of a day when Germany and Italy would eject the British and the Jews from the Middle East, which thankfully never came. Amin Al-Husseini would instigate a pro-nazi coup in Baghdad, Iraq in 1941. Kharaillah Tulfah was his right-hand man. Tulfah is Saddam Hussein’s mentor and uncle. Amin Al-Husseini uses his influence in the Third Reich to have Germany sends weapons and aircrafts to Husseini, this also failed. Later as the Third Reich’s fate seemed sealed the Grand Mufti, Amin al-Husseini continued to work with Hitler achieving an honorary rank in the SS by Heinrich Himmler (Head of SS) and even commissioning Muslin Soldiers to fight under the Nazi flag in the Balkans. After the fall of the Third Reich Amin al-Husseini fled to Bagdad and later the British give Amin Al-Husseini amnesty. Amin Al-Husseini became one of the founders of Arab League shortly there after Egyptian-born Yasser Arafat meets Amin Al-Husseini at age 17 and starts to work for him as Husseini’s policy of ethnic cleansing is passed on. He uses recently acquired Nazi methodology to implement his vision of an Arab World free of Jews. In 1948 with UN recognition, Israel declares statehood. The Arab League immediately declares Jihad (Holy War) against Israel. Amin Al-Husseini is directly implicated in providing safe haven to ex-Nazis in Arab lands and formation of the ODESSA network. Egypt, home of Muslim Brotherhood, and Syria incorporate thousands of Nazi experts into Egyptian and Syrian army, government and propaganda service. In 1962 Amin Al-Husseini becomes president of World Islamic Congress, which he founded. The Islamic Fundamentalists implement plan of making Arab lands free of Jews, as Hitler did in Europe. He is there credited by many as an influence by many including Saddam Hessein (who all well read students of history know him to be a mass murderer in his own right). Others that have credited Amin Al-Husseini as an influence include Mahmoud Ahmadinejad, Osama Bin Laden of whose Al Qaeda is directly connected to Amin Al-Husseini. 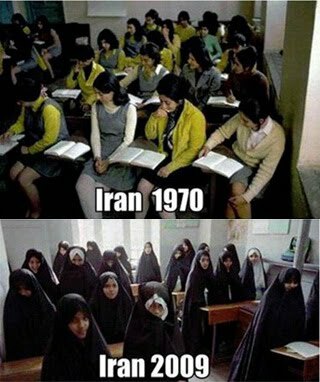 These are FACTS the extreme liberal media overlook (or more likely omit), and their omission of these facts makes history doomed to repeat as the sadly foolish USA electorate that believes anything the media states then elects a Muslim Brotherhood supporting president in Barack Hussein Obama.!!!! 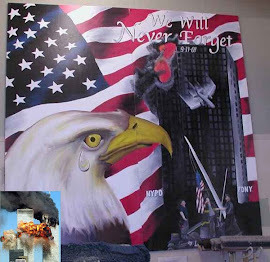 In his post-September 11th declaration to the world (October 7th 2001), Osama Bin Laden openly states his allegiance to the Ottoman Empire and its notion of Islamic take-over, thus drawing a direct connection with Amin Al-Husseini. He states that his Jihad is in retaliation for 80 years of disgrace and humiliation, which marks the humiliating defeat of the Ottoman Islamic Empire at the hands of the French and British in 1918. The year 1921 also marks the year that Amin Al Husseini was appointed Grand Mufti of Jerusalem (against the will of the people) and thus marks the conception of Osama Bin Laden’s Jihad. 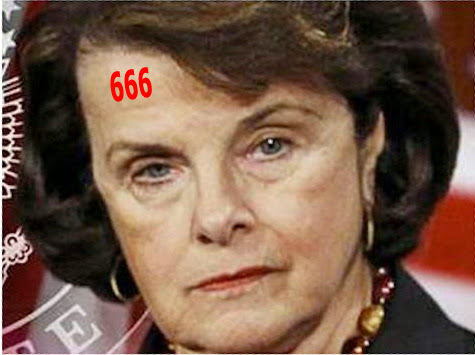 The bottom line is these people are EVIL and will stop short of nothing but the destruction of the USA, Israel and many other nations. Appeasement is NOT an option as many in the Media, Barak Obama and many other individuals would have us believe. I would caution readers of donating to websites such as defendjerusalem.net which although it is very Pro Israel and "gets it right" in many areas concerning Israel, the author is a person that cannot be corrected and will believe in media lies when it fits his hateful views of certain individuals such as Rush Limbaugh. He is one of the types of hateful persons that help Israel's enemies by displaying such hate thus providing examples they can point to. Sadly he throws some of his biggest supporters under the bus when hate clouds his thinking process and as someone that has had his family suffer profusely from this exact problem of believing rumors about myself by persons I have helped considerably, I know the damage and evil that comes from this. Please avoid defendjerusalem.net like the plague, as good is good and evil is evil and supporting evil, even if they might support something we agree with is still wrong!!! Barak Obama who appears to be an intelligent and engaging person has really shown his true colors here especially in his relationship to his long time pastor who has made some comments that are quite bluntly “evil” such as the his condemning our support of Israel and our use of the atomic bombs on Japan (gee, did not the Japanese attack us first and did they not kill and torture many innocents, especially in China and Korea?). Barack’s comments that he was not present when these statements were made simply does not hold up for someone of his intelligence. He has used his Pastor Jeremiah Wright when it was convenient for him. There is no way ANY thinking person can support and attend a church or similar organization without knowing and supporting there views. 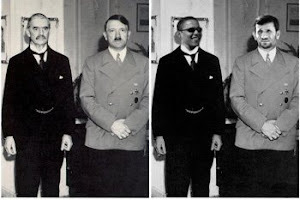 Where does President Barack Obama fit into the "Faces of Evil"? I personally do not think he can labeled as evil as some who dislike him might do (although it is quite difficult at times with his pathological lying & more), however anyone who has any shred of discernment, it is easy to see who this man is, despite the polls showing many still do not find him responsible for the dozens of scandals failures he IS responsible for. Who is truly evil are those who will lie, cover-up, divert, or purposely ignore reporting his misdeeds. An example is George Stephanopoulos, who in my view is a good example of the worst of the media as I view him daily on ABC/GMA watching repeated cover up, omit, & lie to support his far left hateful view. If not for persons like him and others, many who voted to re-elect Barack Obama would have seen the truth. In my view, this kind of cover-up of failure and lies can be more evil than the man committing these misdeeds. This is no different than writing a book making Adolf Hitler to not be responsible for his crimes as Mahmoud Ahmadinejad has done in denying the holocaust. "Woe to those who call evil good and good evil, who put darkness for light and light for darkness, who put bitter for sweet and sweet for bitter"
Unfortunately YouTube can be overly zealous in some removals (although I do not know the reasons which could certainly be valid). I added a new link to another video.